A San Diego County conservancy group Thursday announced an effort pushing back on the county’s plan to vote on a proposed housing development in Borrego Springs. The Tubb Canyon Desert Conservancy is calling into question a plan by an investors group that would turn 170 acres of ocotillo forest on the outskirts of Borrego Springs into a residential development. An endangered species of sheep dwell in the forest, opponents of the project said. The county studied the proposal for six years and plans to vote on the development at the board of supervisors Sept 12 meeting. 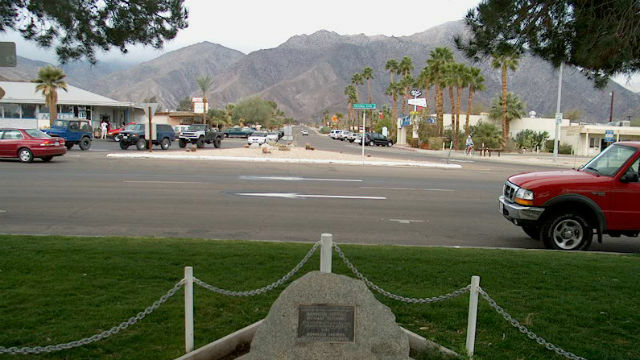 Borrego Springs residents insist the development will harm the region’s tourism industry and increase demand on an already overdrafted aquafer that services the region. The Borrego Springs Community Sponsor Group unanimously rejected a formal request in March by the property owners to increase the zoning density of the project to one home per acre.